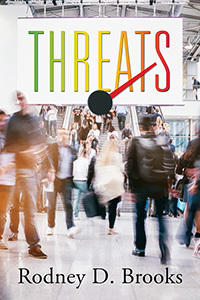 Rodney D. Brooks’s “Threats.” A threat makes people do and act in ways that are not predictable. People who feel threatened are often driven toward action. Are threats essential to sustaining continual progress? Are we lawless without threats? Learn how the various sectors of society are affected by threats in this unique and thought-provoking study.